Samsung looks to have a few whacky accessories lined up for the Galaxy Note 3 and Galaxy Gear devices, but this new one might be a hit with female audiences. Mini Purse, anyone? With this accessory, simply stick your Note 3 device inside, then you can keep track of it, plus all of your cash, credit cards and other misc. girly things. 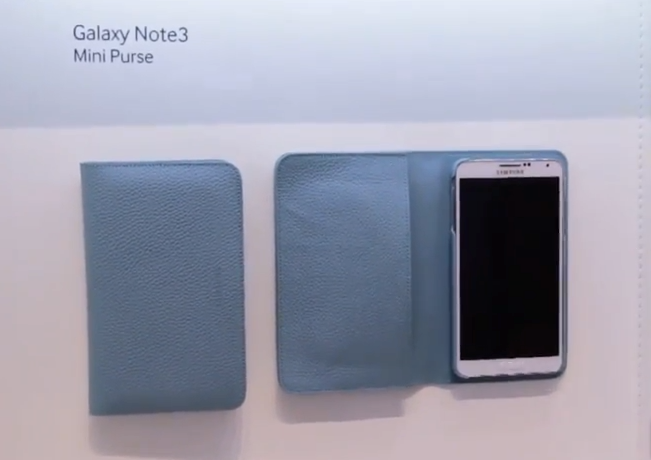 The Mini Purse should launch sometime around the official release of the Note 3, but will only launch with the blue color as pictured above. According to the source, additional colors should be in the works for release sometime later down the road. Well, ladies – what do you think?